On Monday 11 February 2019, Dean Field Junior Wardens worked in partnership with PCSO Nicola Shephard West Yorkshire Police, Lee Ackroyd Community Warden and Parking Services from Calderdale Council. They all took part in a parking initiative tackling unsafe parking in and around the school area. 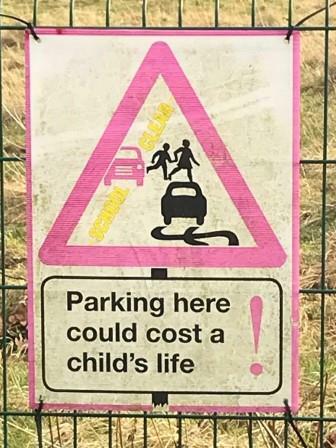 Unfortunately a lot of parents and grandparents picking children up from the school do NOT STICK TO PARKING ZONES and laws putting their child at RISK !!! Watch out for more enforcement in this area!